The Airblade Xtreme court shoes from Carlton feature the Anti Glide System that stabilises the foot and prevents internal sliding for improved performance. The AEGIS Antimicrobial lining helps to keep your feet fresh for longer whereas an anti-torsion shank provides increased dynamic stability. The shoes feature a hi-poly insole for long lasting durability and deliver enhanced traction thanks to a unique outsole tread. In addition, an ergonomic fit is ensured by a premium last design. 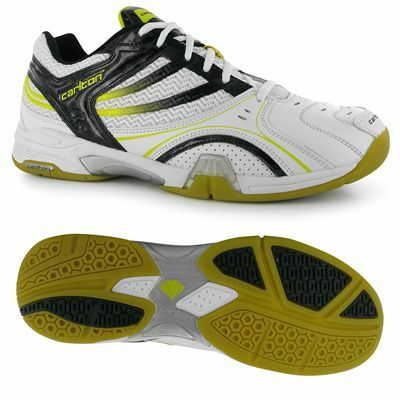 for submitting product review about Carlton Airblade Xtreme Court Shoes.